Gurugram, also called as India's 'Millenium City' is one of the most happening cities in the country. Gurugram is a distinctive urban center located in the National Capital Region (NCR) near the Indian capital New Delhi in the state of Haryana. Located just 20 miles away from the Indian capital, Gurugram is the houses highest number of professionals per square inch in the country and distinguished as the most thriving city in the country in terms of possession of durable goods. The local population from the city of Gurugram will not contravene over the fact that the city was a place which lacked liveliness until a few years ago. Nevertheless, at present the story is completely different that Gurugram is one among the bustling cities of India, which witness rapid climb on the ladder of development. 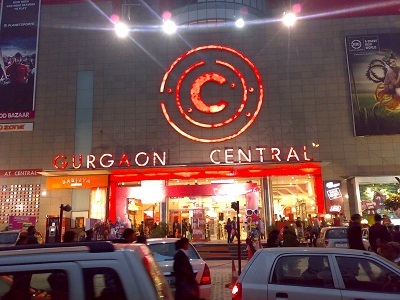 With posh neighborhoods, hulking apartments, behemoth shopping malls, gleaming facilities of multinational corporations all around and what not, Gurugram stands up to its reputation that it is on the right path of accomplishing the terminus of the most urbanized city of India. Furthermore, Gurugram is looked at as an education and career hub as the city houses seven universities and several reputed schools and substantial presence of about 250 Fortune 500 companies. Tout ensemble, Gurugram is an icon of modernistic India, enjoying the condition of prosperousness at its peak through globalization. The history of the name Gurugram can be traced back to the period of earliest scriptures of Hinduism. The widely reasoned account surrounding the region that this domain was possessed by the Kauravas and Pandavas (swayers in the Hindu epic text, Mahabharata). The above mentioned swayers awarded the land to their imperial guru, Dronacharya as a token of admiration (Gurudakshina) of his education. The following history evidences the fact that the land was then addressed as Guru Gram, which can be interpreted as 'Village of the Guru'. Subsequently, the region attained its contemporary name of Gurugram in the course of time. Nonetheless, the city still houses Guru Gram amidst its sensational growth all around. The city of Gurugram is located in the Gurugram district of Haryana. The city is an integral part of the Indian state of Haryana and is located in the south-eastern part of the state and northerly part of India. The city is located just 20 miles away from the Indian capital, 6.2 miles from Dwarka Sub City and 174 miles from the state capital Chandigarh. The Gurugram district is bordered by Rewari, Faridabad, Jhajjar, Delhi and Mewat. Gurugram city has a total area of 738.8 sq km and the mean natural elevation of land is 711.9 ft above sea level. The weather conditions of Gurugram can be classified as monsoon-influenced humid subtropical climate (hot, humid summer times and usually mild to cool winter times). The city goes through all the four calendar seasons summer, winter, spring and autumn. The monsoon time of year usually sets in towards the last half of summertime. Gurugram is a home of numerous tourist attractions, and the specialty of the city is that it offers something for all age groups. As a matter of fact, the city is gifted with all the factors of being a metropolis yet has many features, which are close to nature. The city offers a wide range of options for the visitors like sightseeing, adventure activities, nightlife choices, shopping venues and many more. Gurugram, a rapidly growing city hosts many festivals and events throughout the year. 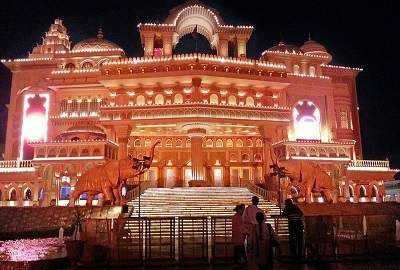 With an increasing population and significant migrant population who are professionally associated with information technology companies, business process outsourcing companies and educational institutions, the city hosts a lot of festivals and events that people of Gurugram join hands together regardless of religion, caste, creed and language and celebrate them with full of life. Owing to its close proximity with Delhi, Gurugram also receives a large number of people from Delhi and nearby localities to participate in Gurugram festivals and events. Some of the popular festivals and events of Gurugram include Sohna Car Rally, The Kartik Cultural Festival, Masani Fair, Suraj Kund Crafts Mela and other common festivals of India like Dussehra, Holi, Diwali, Eid, Durga Pooja, Vasant Panchami and many other festivals. Public transportation services in the city of Gurugram are primarily provided by Rapid Metro and Delhi Metro and government buses. Private bus service and auto rickshaws are also available in plenty that runs across the length and breadth of the city. Five metro stations are operated in the city of Gurugram which includes HUDA City Centre metro station, IFFCO Chowk metro station, MG Road metro station, Sikandarpur metro station and Guru Dronacharya metro station. Rapid Metro stations of Gurugram include Belvedere Towers, DLF Phase 2, DLF Phase 3 and Moulsari Avenue. Here's a list of Top Schools in Gurgaon. 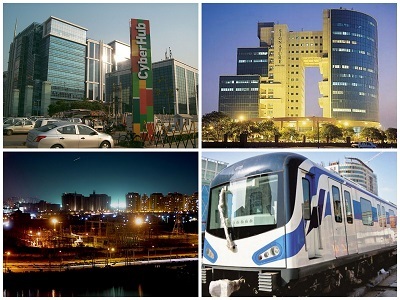 Nice guidlines about the gurgaon city, i know only about this city as a IT hub.